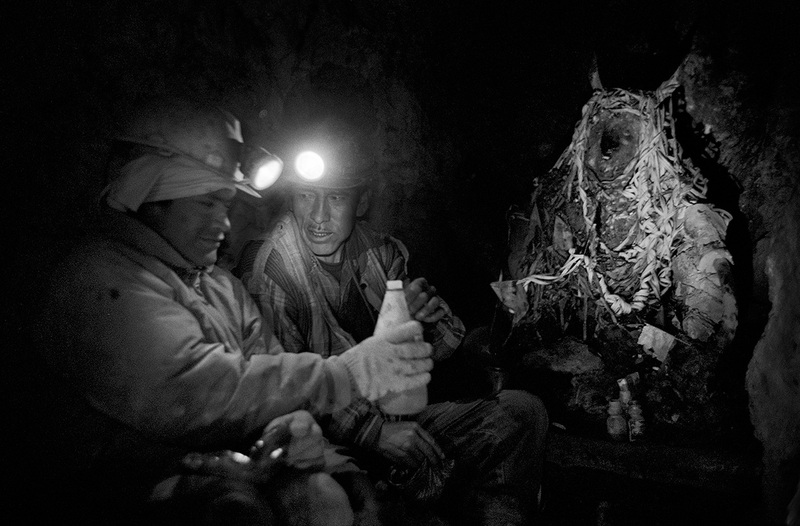 Miners deep inside the Cerro Rico share coca and alcohol with El Tio, The devil of the mine. The offering is away of placating the evil of the mine. Bolivia.